The search for Jay Ishimoto, 48, of Rancho Cucamonga, who was reported missing on July 19, came to an end on July 30 when he was found deceased in Barstow, according to the Rancho Cucamonga Police Department. The Barstow Police Department did not respond to requests for further details and the San Bernardino County Coroner’s Division had not released any information on the case as of Friday. On July 19 at approximately 3:46 p.m., a deputy from the Rancho Cucamonga Police Department responded to a residence in the 6500 block of Ash Avenue regarding a missing person report. 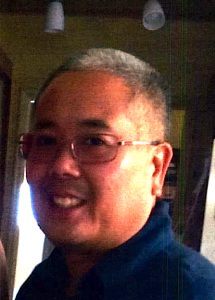 The deputy was advised by a family member that Ishimoto packed a bag of personal belongings and left his home in a gray 2014 Toyota Prius on the evening of July 18 at approximately 7 p.m.
Ishimoto, who had recently undergone knee surgery and had difficulty walking, told his wife he would travel through Barstow on his way to Las Vegas. According to the police, the family was concerned for his well-being as he had made statements prior to leaving that led them to believe he may have wanted to harm himself. The police sought the public’s assistance by distributing a flyer with two photos of Ishimoto and a photo of the type of car he was driving. To help the family with increased health insurance costs, an online fundraising campaign was established Aug. 2 on Gofundme.com by family friend Michelle Dymerski. Originally from Upland, Ishimoto studied at CSU San Bernardino and taught at Mission Middle School in the Jurupa Unified School District. “Thank you to all the family and friends that passed around the press release, sent a search plane up, and to my sister and mom that so freely helped me badger the police, follow up on leads, and also my brother-in-law, who tirelessly came up with new ideas and suggestions and support so early in the investigation, and for the rest of the Ishimoto family and my family and friends.